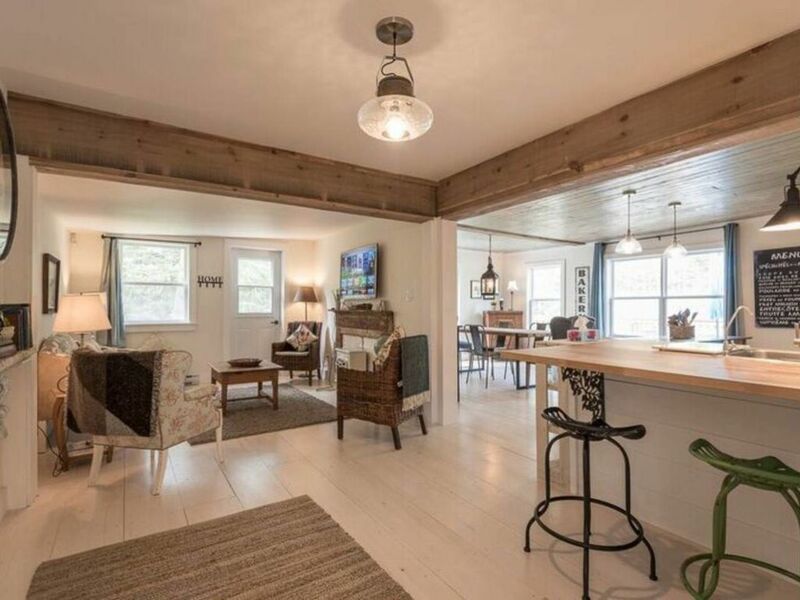 Vacation on Nova Scotia's South Shore in this modernized Hubbard cottage! Antiquers rejoice in this stylish property filled with East Coast treasures. Enjoy this ideal location, walking distance to a restaurant, grocery store, 3 antique shops, and pharmacy. Also enjoy several beaches minutes away, and the weekly Hubbards Farmers Market on Saturdays. Cottage features gorgeous finishes, modern amenities, and a fully-equipped kitchen. Ideal for family vacations, mature couples, or executive stays! Guests have private access to the home. The driveway is shared with the property owner's small antique shop which only operates on Saturday. We are a professional property management company available 24/7 to support our guests. Square footage: Approx 1800 sq. feet.